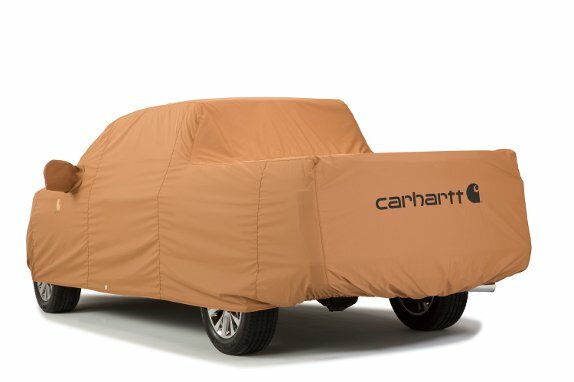 Carhartt® branded custom fit covers are made to provide a perfect, glove-like fit for your truck or SUV. 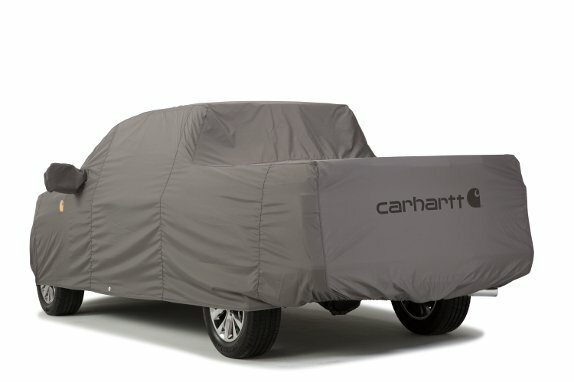 Each cover displays the Carhartt® logo on both front quarter panels and the Carhartt® name across the tailgate. Made in the USA by Covercraft Industries from Ultra'tect® fabric and treated with Rain Defender® durable water-repellent protection, each cover is designed to protect your paint from environmental damage.